Etwaru et al. reported pelvic lymph node dissection by the peritoneal planar lifting method using the Laparolift®b in 1994 (29). Hirsch et al. performed gasless laparoscopic surgery for renal biopsy, varicocelec-tomy, and pelvic lymph node dissection, reporting that it was useful for renal biopsy and varicocelectomy via the retroperitoneal approach, but was not appropriate for pelvic lymph node dissection because of poor field of view (30). After reviewing additional patients, they reported that gasless laparoscopic surgery only provided a limited field of view, and that new abdominal wall lifting devices were needed (31). In 1994, Suzuki et al. proposed gasless laparoscopy-assisted radical nephrectomy, in which a small skin incision was first created to remove the renal cancer en bloc and then a planar lifting retractor was inserted through the incision to lift the abdominal wall (32,33). In the author's experience, gasless laparoscopic surgery combined with the small skin incision was advantageous because there was no need for carbon dioxide pneu-moperitoneum, the renal arteries and veins could be safely dissected under direct vision, and the patient could be immediately switched to open surgery if serious complications occurred such as massive bleeding. The concept of gasless laparoscopy-assisted radical nephrectomy was subsequently extended to gasless laparoscopy-assisted live donor nephrectomy. Gasless laparoscopic surgery has also been used for Burch bladder neck suspension. Flax performed gasless extraperitoneal laparoscopic Burch bladder neck suspension in 47 patients with Type 2 stress incontinence, and reported that it was necessary to switch to open surgery in three patients (6%), but that previous multiple operations and obesity were not contraindications to the technique (34). In addition, some Japanese reports have been published on gasless laparoscopic adrenalectomy and partial nephrectomy (35-38). The clinical practice guidelines on pneumoperitoneum for laparoscopic surgery released by the European Association for Endoscopic Surgery also recommend that abdominal wall lifting should be combined with low-pressure pneumoperitoneum in patients who have cardiopulmonary dysfunction. Etwaru et al. reported pelvic lymph node dissection by the peritoneal planar lifting method using the Laparolift® in 1994. In the author's experience, gasless laparoscopic surgery combined with the small skin incision was advantageous because there was no need for carbon dioxide pneumoperitoneum, the renal arteries and veins could be safely dissected under direct vision, and the patient could be immediately switched to open surgery if serious complications occurred such as massive bleeding. bOrigin Medsystems, Inc., San Francisco, CA. 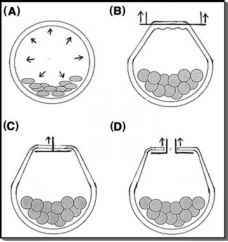 FIGURE 1 ■ Extension of the working space by carbon dioxide pneumoperitoneum and various lifting techniques. (A) Carbon dioxide pneumoperitoneum. (B) Subcutaneous wire lifting. (C) Peritoneal planar lifting. (D) Peritoneal planar lifting with minilaparotomy. in 103 patients with improved retractors and techniques, and reported satisfactory results, with a mean operating time of 130 minutes and blood loss of l0O mL (41). Suzuki et al. also reported on retroperitoneal laparoscopy-assisted live donor nephrectomy using the abdominal wall lifting method in 1997 (42). Subsequently, they introduced various improvements to reduce the operating time, and concluded that gas-less retroperitoneoscopy-assisted live donor nephrectomy was an effective procedure (43). It does not have any adverse effects on cardiopulmonary function and renal blood flow because there is no carbon dioxide pneumoperitoneum. ■ The extraperitoneal approach may be employed. 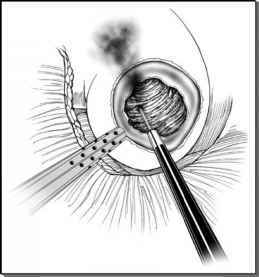 ■ Surgeons can safely dissect the renal vessels under direct vision. ■ The patient can be quickly switched to open surgery by extending the small incision. ■ ■ A relatively limited visualization of the operative field. ■ The lifting device may interfere with the use of forceps. ■ Strong traction on the small incision may increase postoperative wound pain (44).